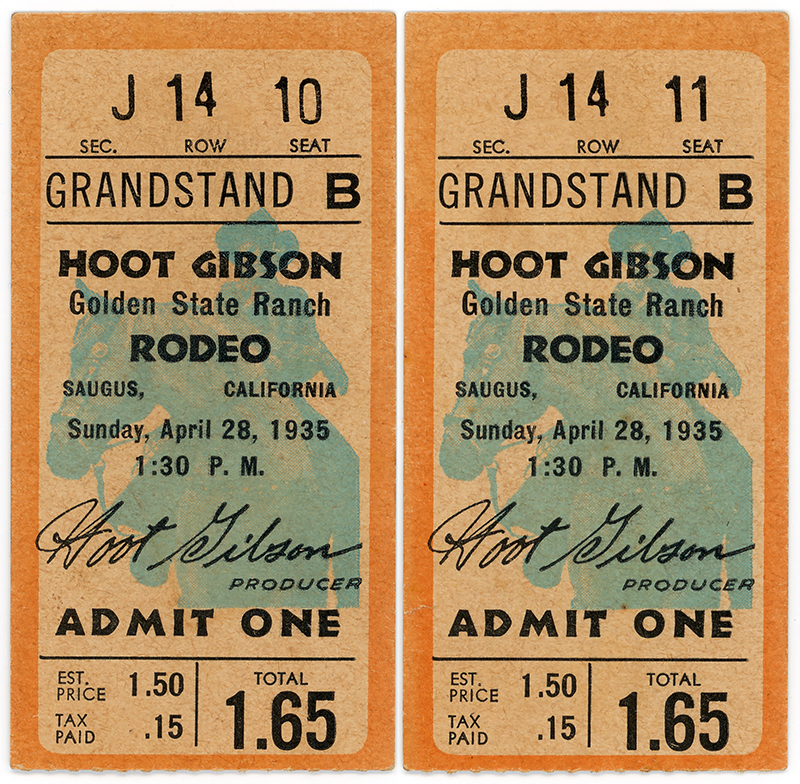 SCVHistory.com LW2096 | Saugus Speedway| Hoot Gibson Ranch Rodeo Ticket, 4-28-1935. 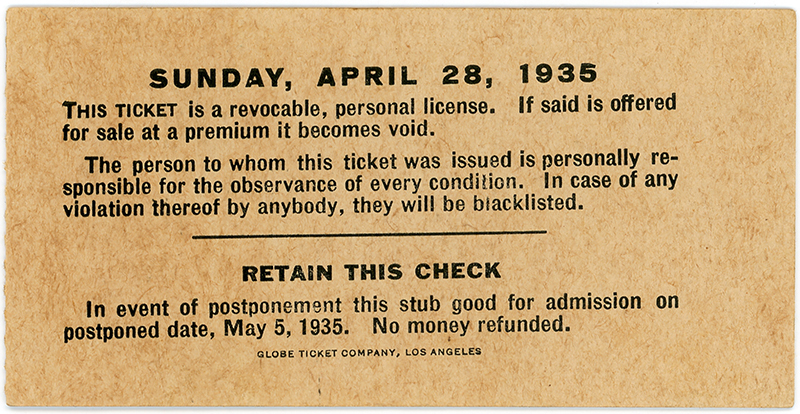 Ticket to the Hoot Gibson Golden State Ranch Rodeo, Sunday, April 28, 1935. In 1930, cowboy actor and rodeo champion Hoot Gibson purchased the Baker Ranch Rodeo in Saugus (which later became the Saugus Speedway). Gibson sold the arena in 1934 to Paul Hill, operator of the Western Livestock Stockyards. Gibson apparently licensed the "Hoot Gibson Rodeo" name to Hill and continued to produce rodeos at the arena, which sat 18,000 — more than triple the population of the entire Santa Clarita Valley — and often drew overflow crowds.